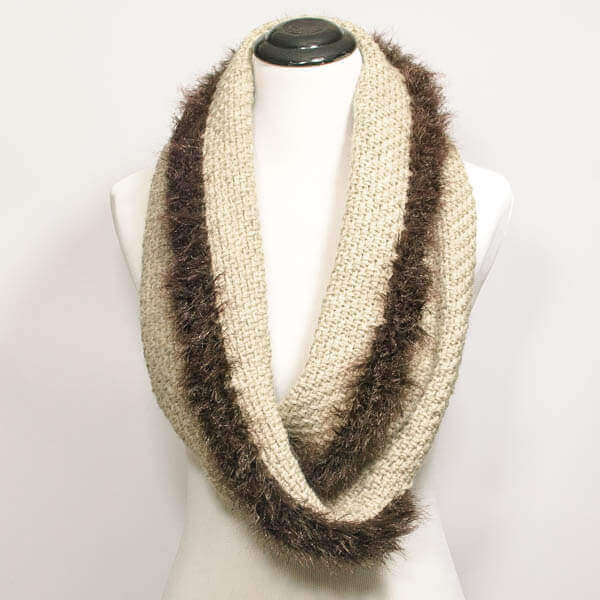 I love the understated sophistication of this Infinity Scarf-to-Wrap!! 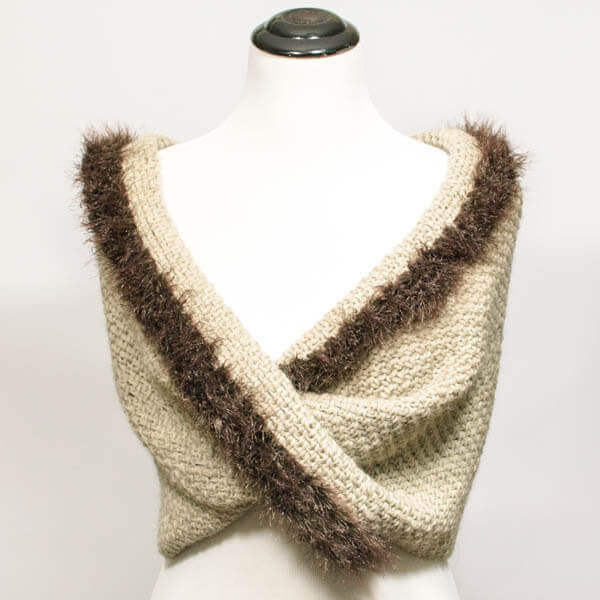 It can go from an cowl or scarf to a wrap with just a tug over the shoulders and looks just as cute with a pair of jeans as it does with a dressier outfit. Best of all, it’s super simple to make! Ch 152 (or any even number of stitches until desired width is reached). Row 1: Work 1 sc in the fourth chain from the hook (skipped chains count as ch-sp), *ch 1 and skip next ch, 1 sc in next ch, repeat from * across, turn — 75 sc. Row 2: Ch 2, work 1 sc in first ch-1 sp, ch 1, *1 sc in next ch-1 sp, ch 1, rep from * across ending with 1 sc in turning ch-sp from previous row, turn — 75 sc. Row 3: Ch 2, work 1 sc in first ch-1 sp, ch 1, *1 sc in next ch-1 sp, ch 1, rep from * across ending with 1 sc in turning ch-2 sp from previous row, turn — 75 sc. Rows 4 through 60: Repeat Row 3 until piece measures 18 in. or until your desired length is reached. Rows 61 through 63: Join faux fur yarn and repeat Row 3. Lay rectangular piece flat in front of you with fur trim at the top. 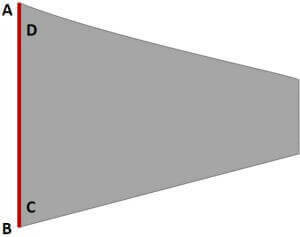 Grab corners C and D and give piece a half twist while folding and laying corner C on top of corner B and corner D on top of corner A. Measures approximately 46 in. x 18 in. Using a yarn needle and length of yarn, whip st along edge to seam edge together, as indicated by the red line below. Do you have the dimensions for the rectangle before it’s sewn together? I see one side should be about 18 inches, but not the dimension for the other side. Let me know and thank you. The width would be about 46 inches. Do you use the fur along the other side? I’ve done the one side and it doesn’t wrap all the way around like the pic. Can any yarn be used for thus scarf? Is it then correct to chain 176? Hi Vivienne 🙂 As long as it’s a worsted weight yarn it should be the same. Love this look. I do have a question on this pattern. For row one, it states steps, but at end it says to turn – 75 sc. Should this bring it back to beginning of row one? Thanks in advance. I am new to crochet, knit and looming. Hi Cindy 🙂 this piece is worked back and forth in rows. never mind my comment — the 75 sc is because you also will have 76 chain spaces. Good catch! That is a typo … the starting chain should be 152 chains. I have corrected the pattern to reflect this now. Thank you for updating the pattern directions: I got 1/3 way done, and realized there is no way 76 count chains were enough! Also it has been a fffrustrating start, I will begin yet again.